Description: An antique inspired filigree setting that takes a 7.0mm sized round gemstone or 1.25 carat diamond (shown set with gemstone which is not included). 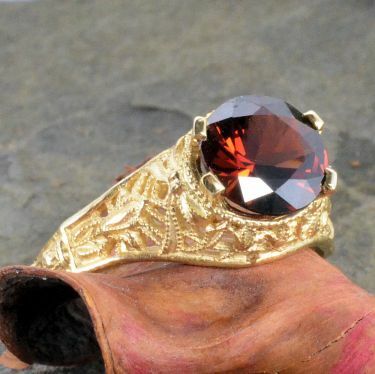 This setting is a replica of a vintage engagement ring. 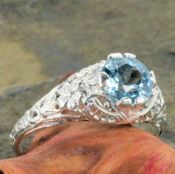 They are not mass produced and are cast per order using a mold from the original antique carved die. 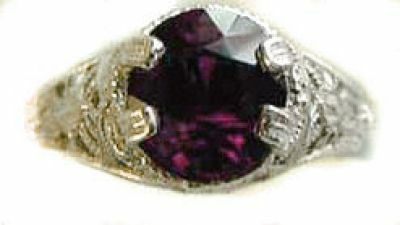 The rings are made to appear exactly as their authentic counterparts did a century ago. 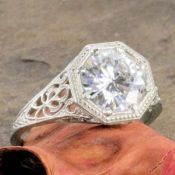 The filigree is intricate with embossed details. 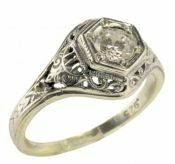 Review the product information for this item on the Manufacture page in the "lost wax casting" section to see if this item is right for you. Measurements: Measuring 5/16" wide by 1/4" in height with the band tapering down to 1.7mm in width at the bottom. Approx. 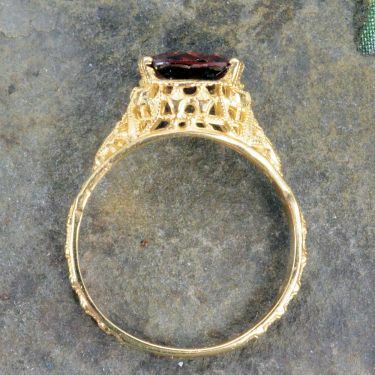 ring size after casting is approx. 7 1/2 but may vary up to 1 full size. 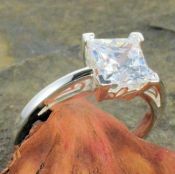 If you need an exact size, select it from the drop down ring size selection box and our jeweler will expertly re-size. 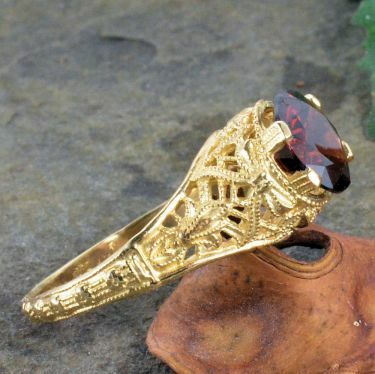 Made To Order: Design your own 'made to order' filigree ring. 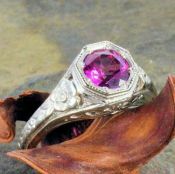 Select the type of precious metal and color, choose your ring size and add an optional gemstone from the drop down lists below. 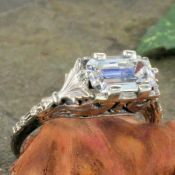 We will manufacture a ring according to your specifications. If you don't see a stone on our list please inquire for a quote. 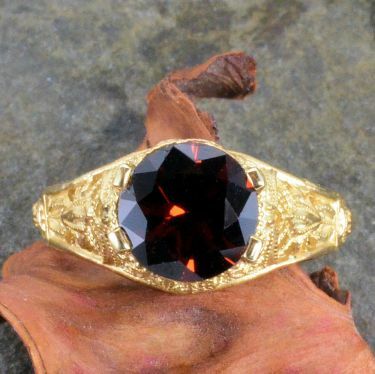 Customers are welcome to send in their own stones for setting (stone setting fee applies). Manufacturing time: Ships in 7 to 10 days in 14k, 2 to 3 weeks in 18k or platinum. 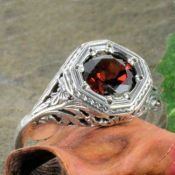 Resizing and stone setting will add an additional week to shipment.